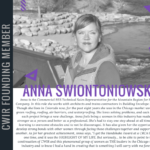 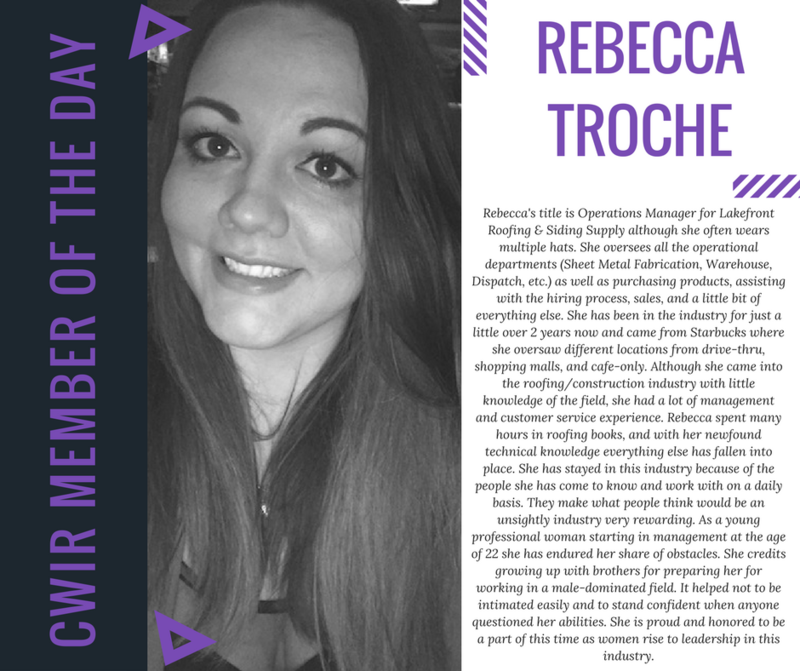 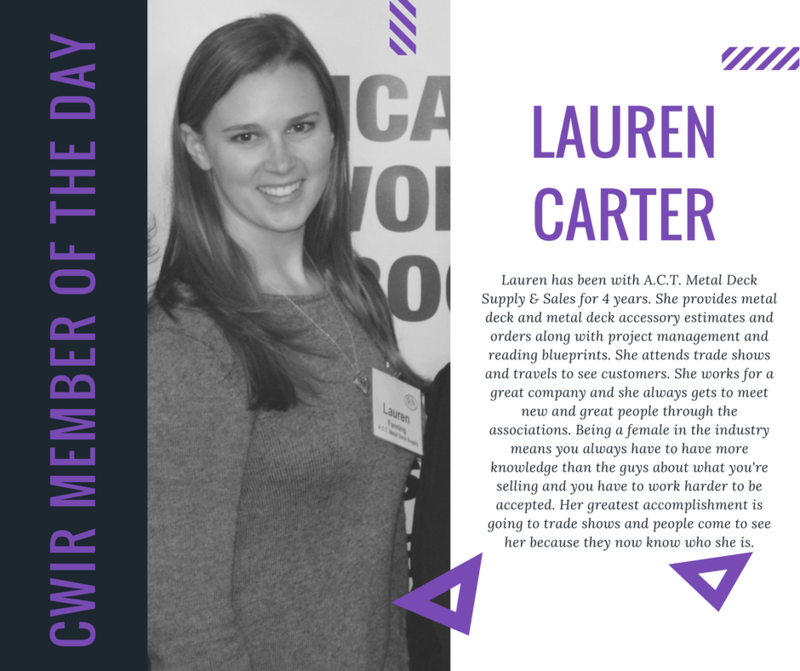 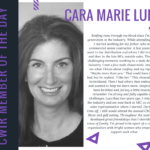 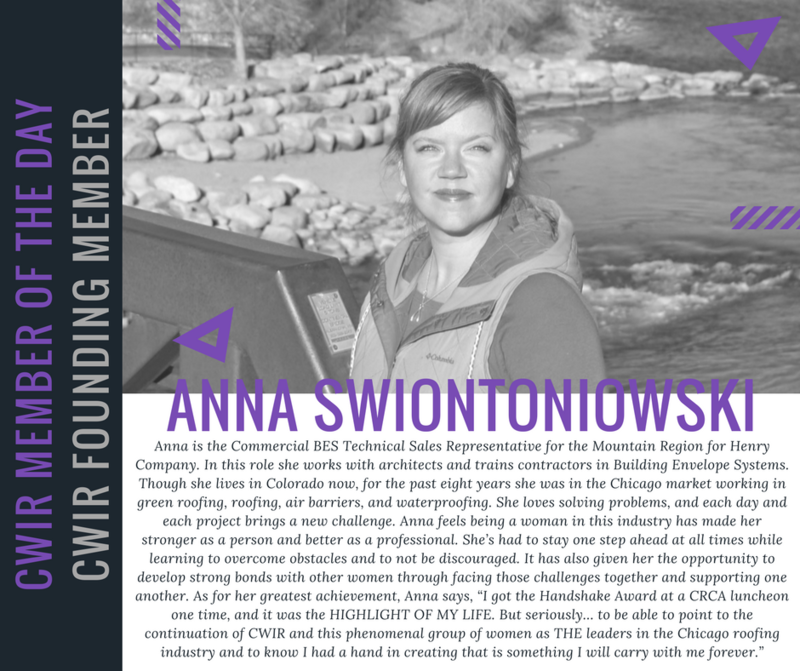 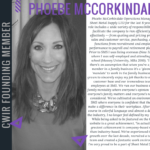 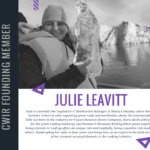 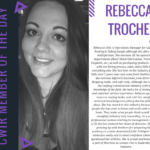 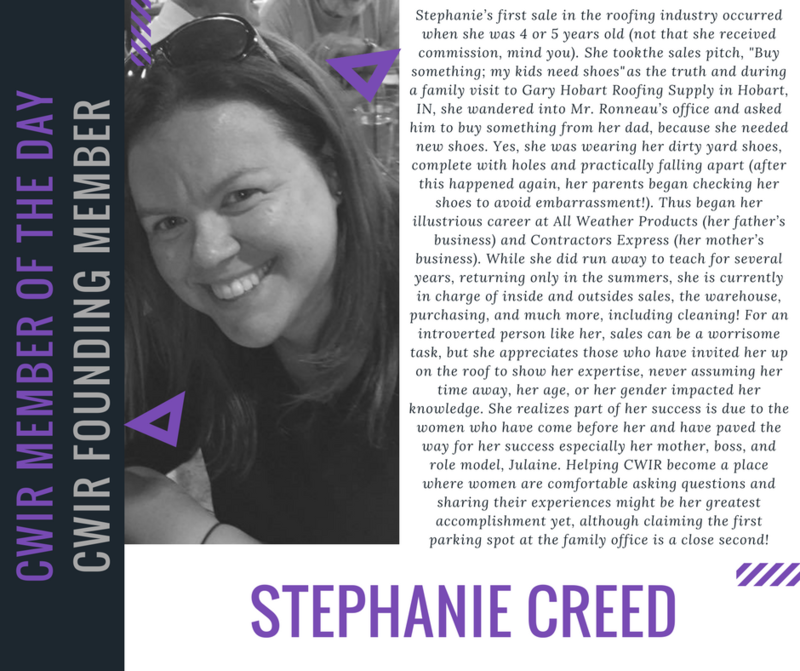 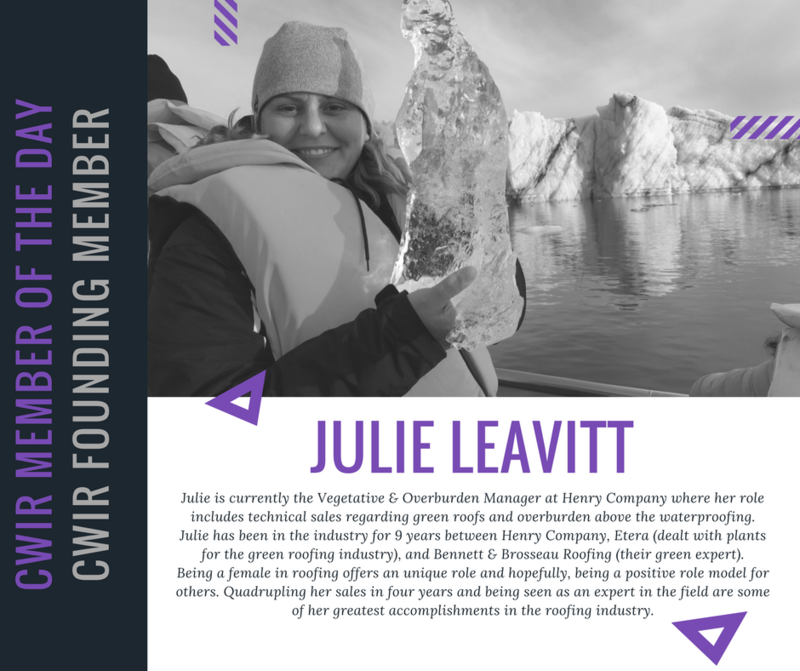 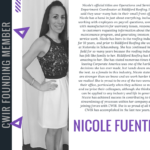 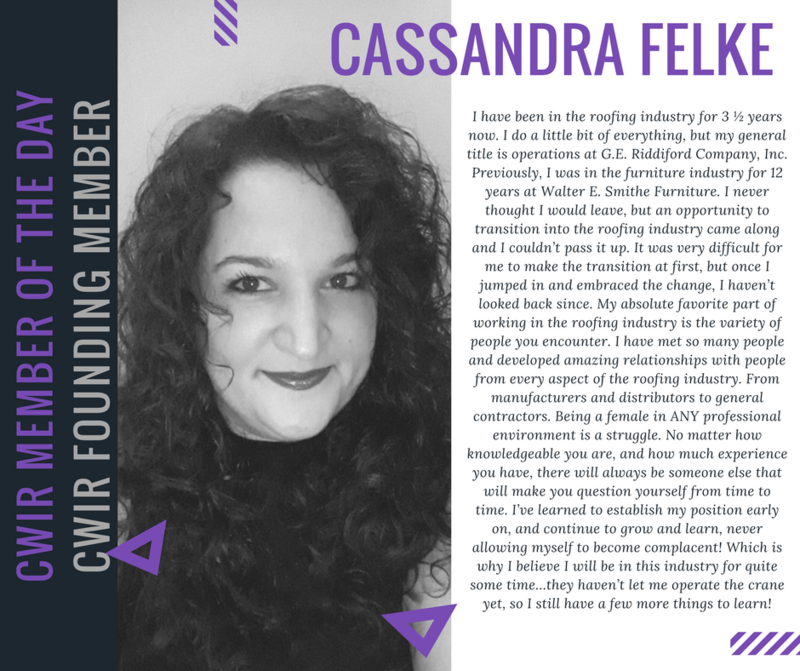 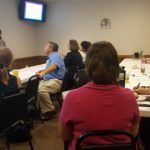 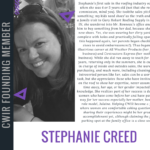 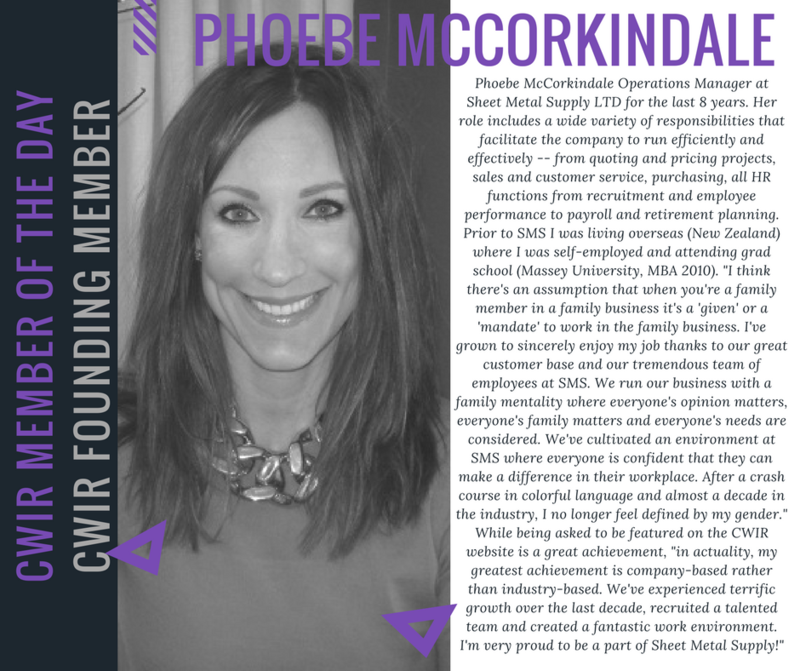 Interested in joining CWIR? 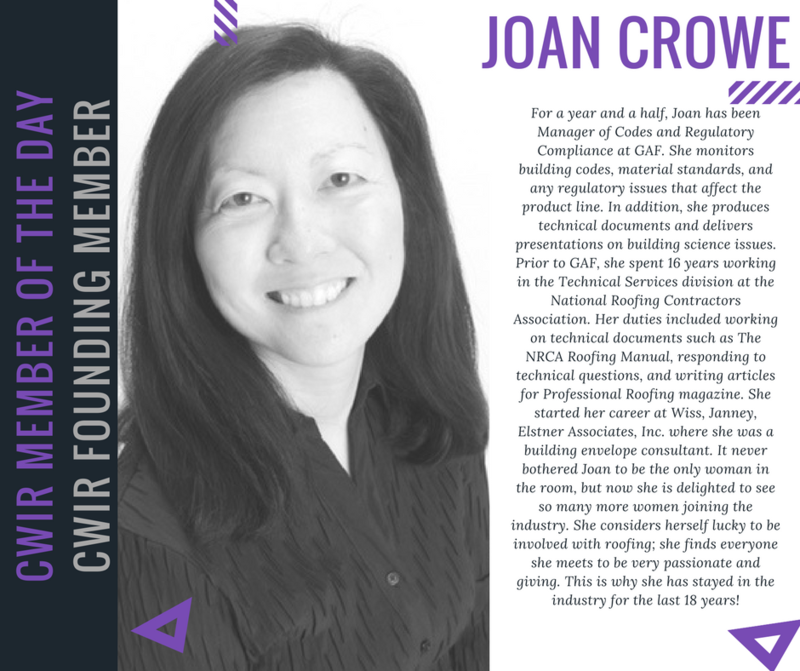 Please email Linda@crca.org or Jessica@crca.org and ask them to add you to the CWIR Email List. 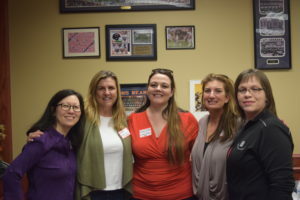 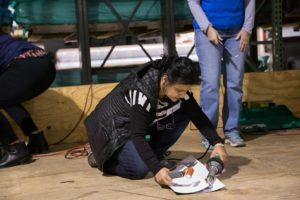 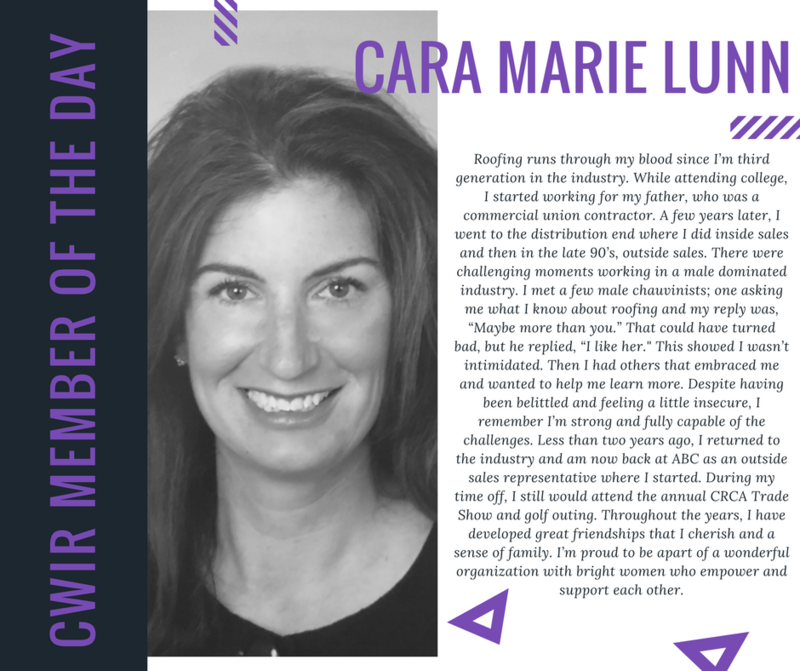 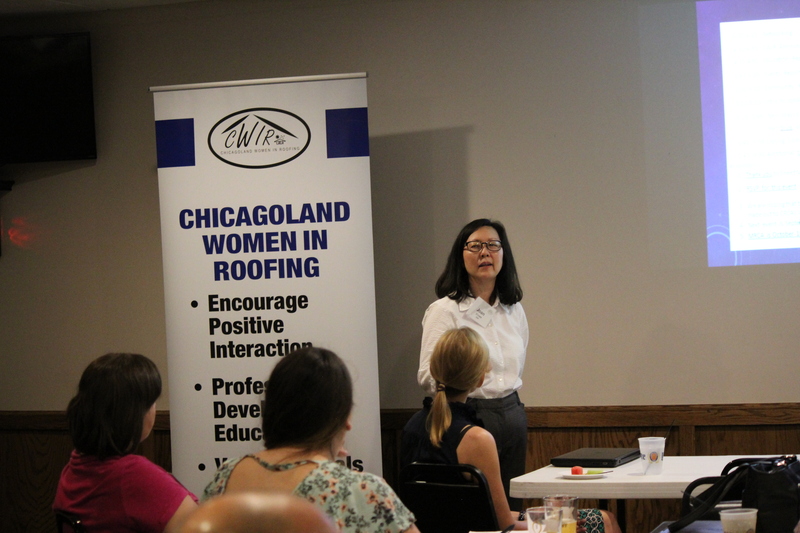 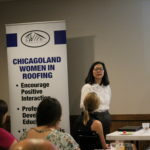 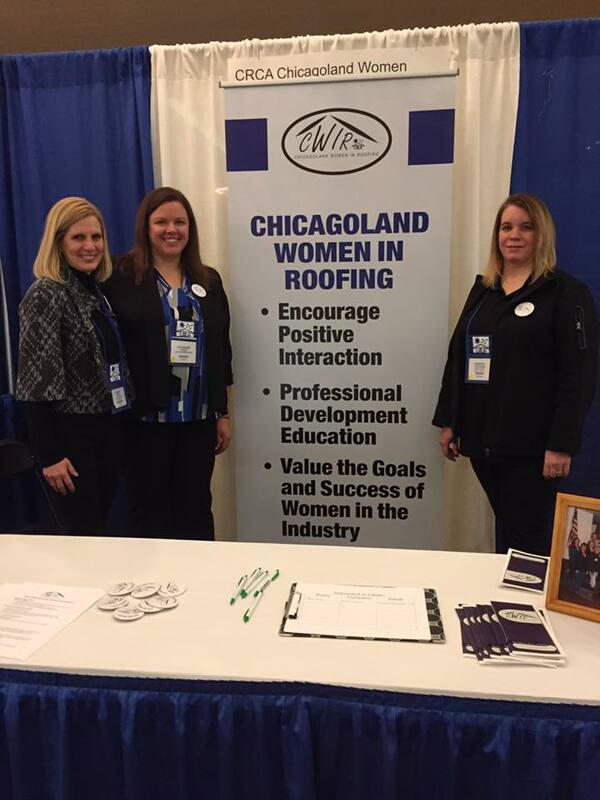 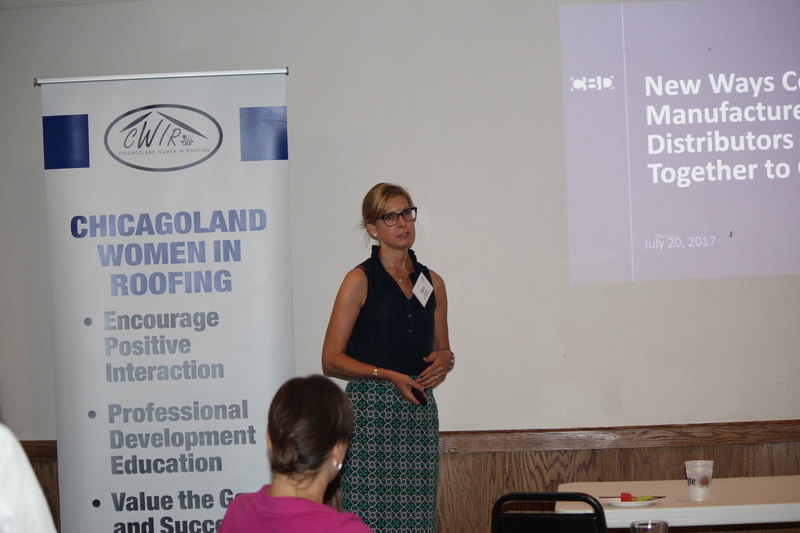 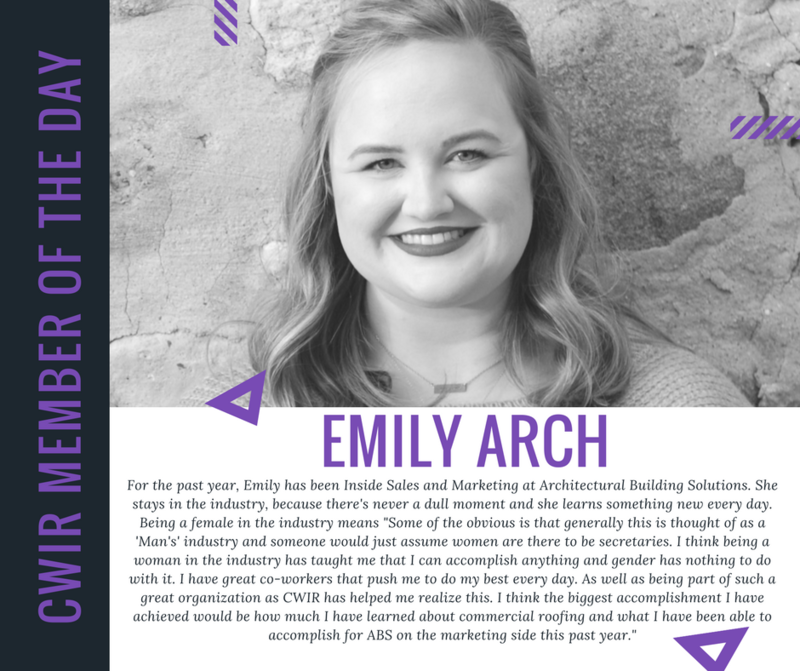 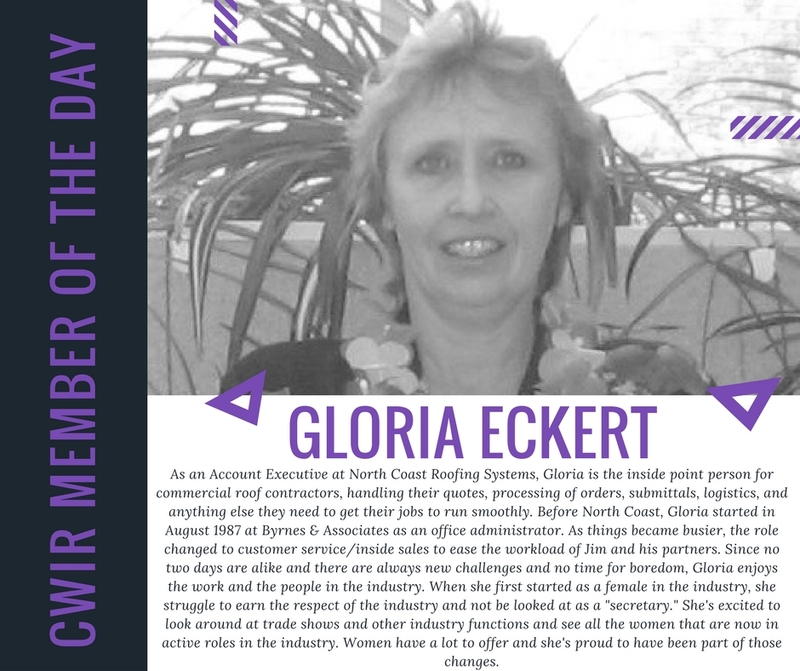 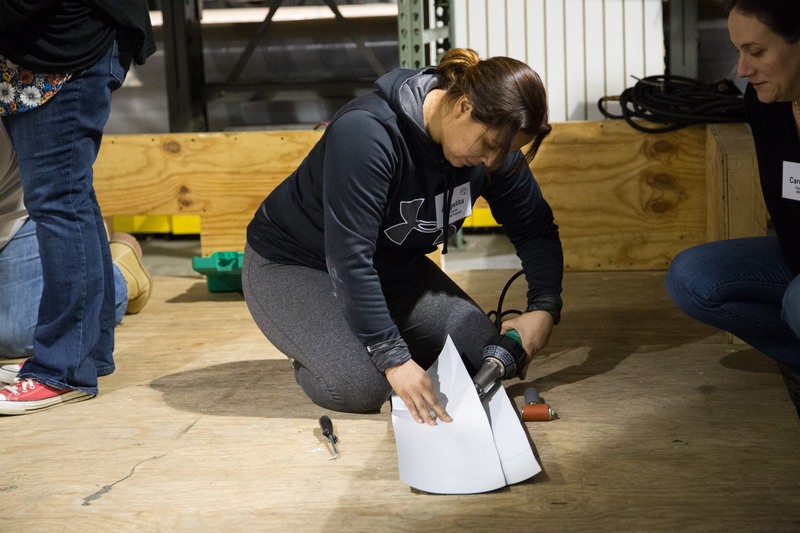 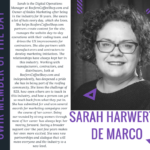 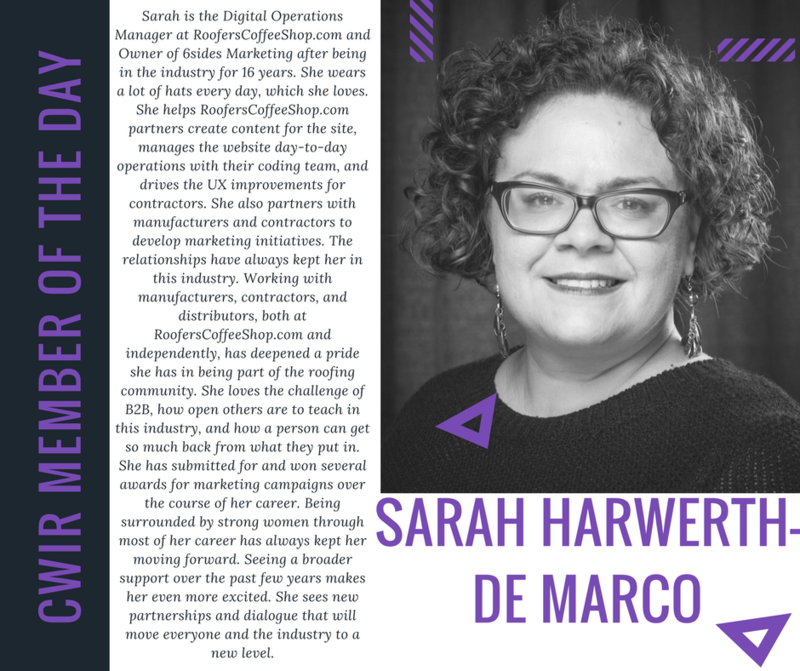 In honor of Women’s History Month, we’re highlighting SOME of the MANY great women involved in Chicagoland Women in Roofing. 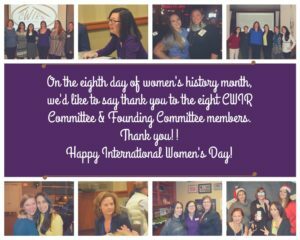 In honor of Women’s History Month and International Women’s Day, we honor our current committee members and founding committee members. 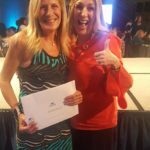 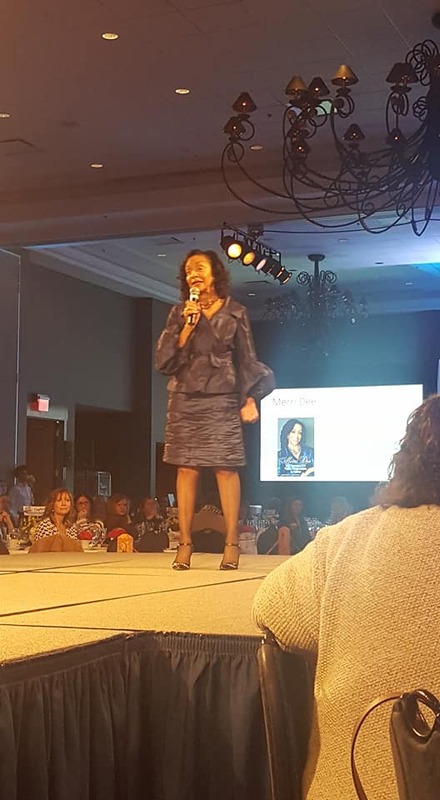 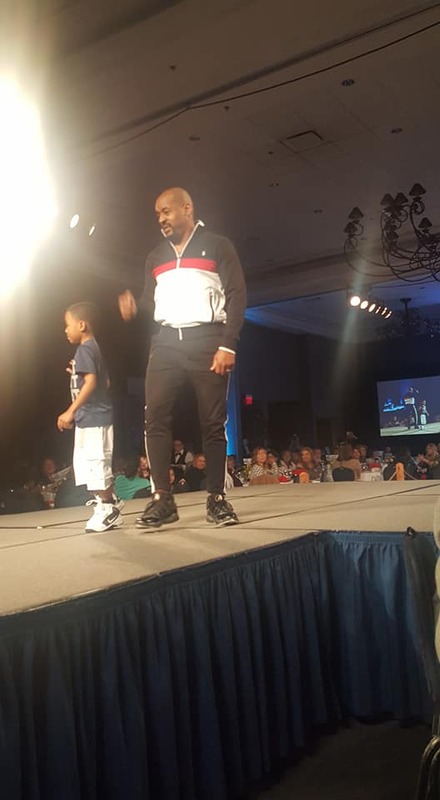 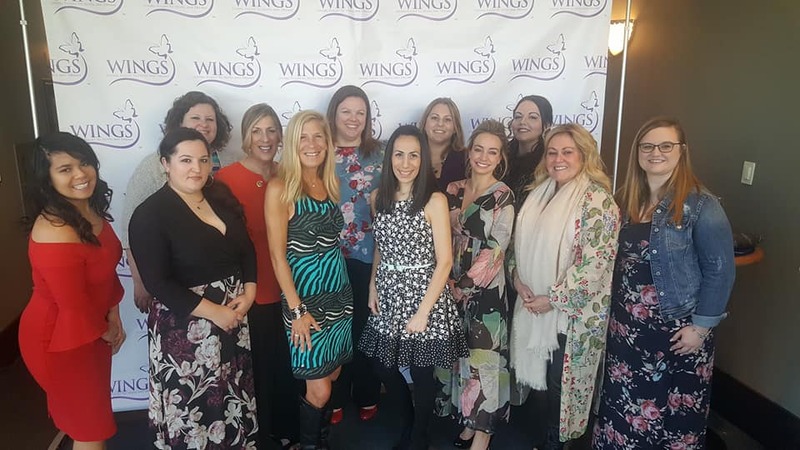 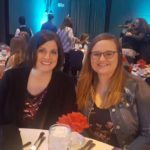 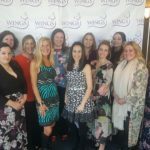 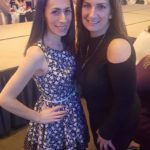 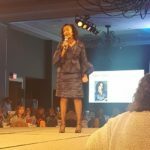 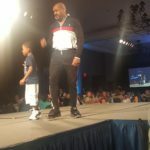 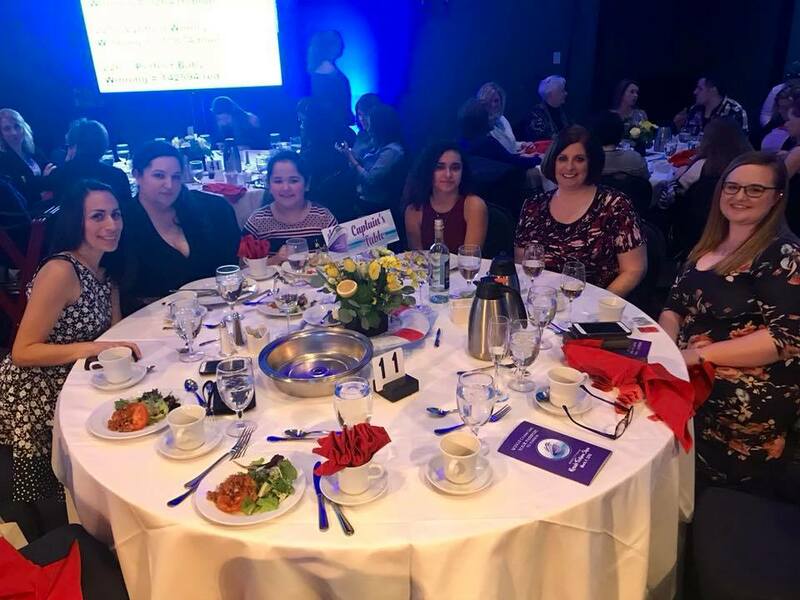 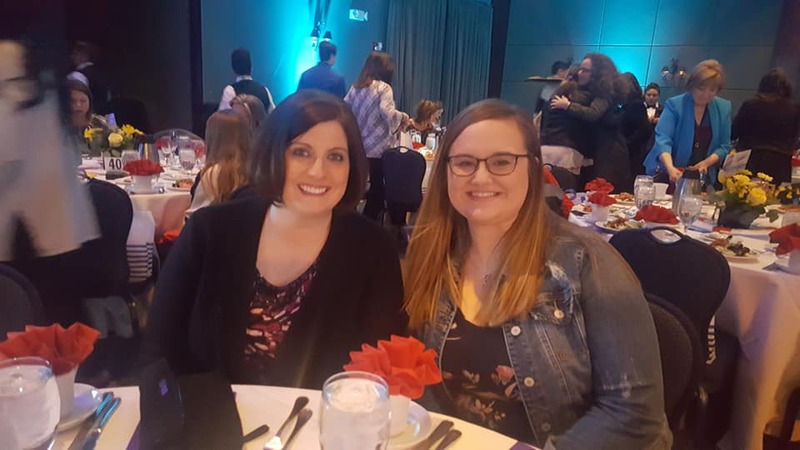 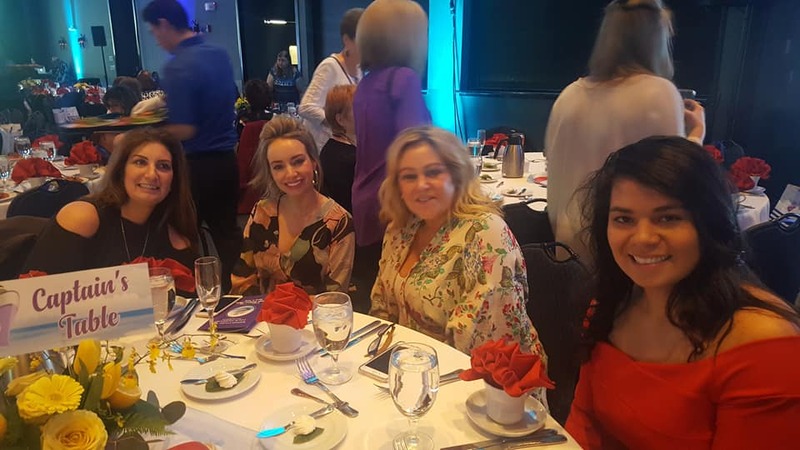 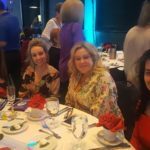 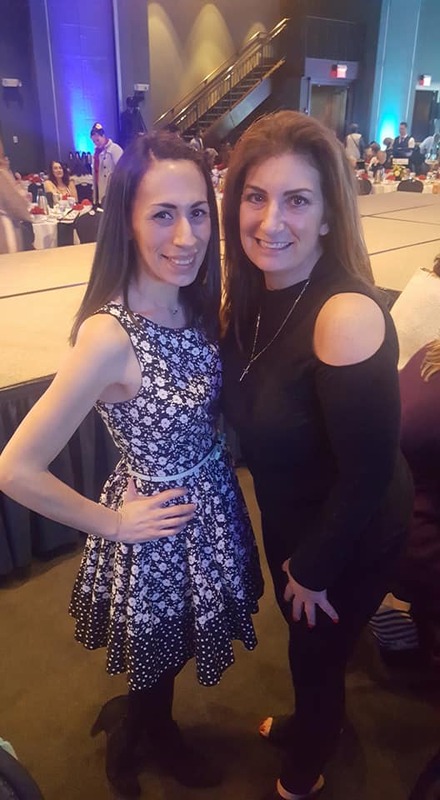 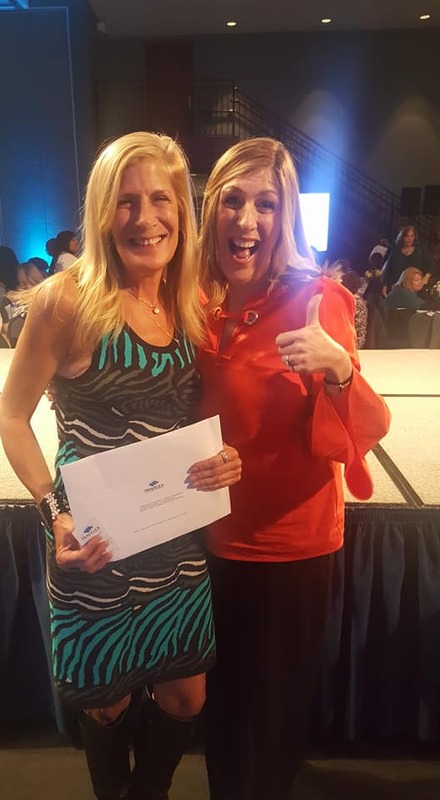 On March 4, 2018, CWIR attended the WINGS Fashion Show. 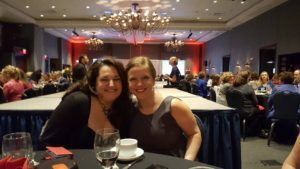 We are thrilled to be supporting a worthy organization. 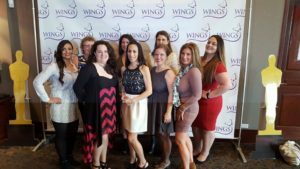 Some of the impressive survivors of domestic abuse and graduates of the WINGS programs were wonderful models and an inspiration to us all. 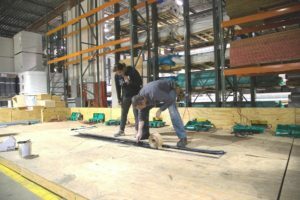 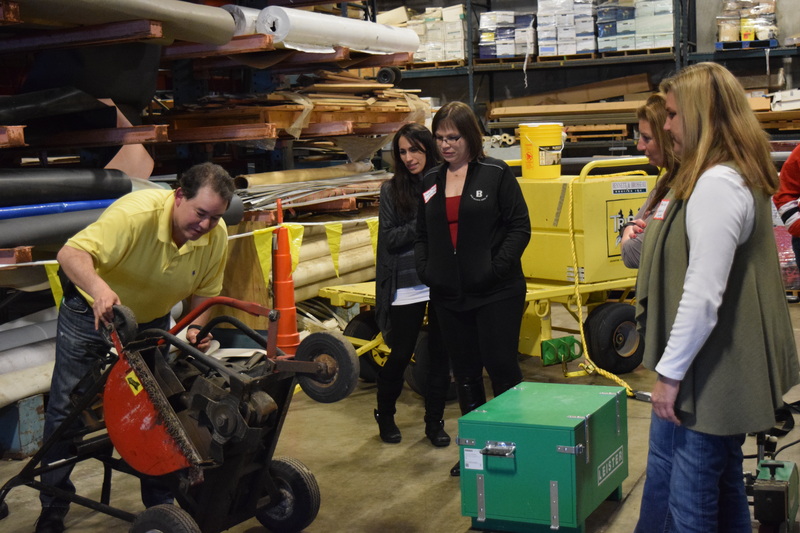 On February 22, 2018, Bone Roofing Supply and Troy hosted Welding/Roofing 101 with CWIR. 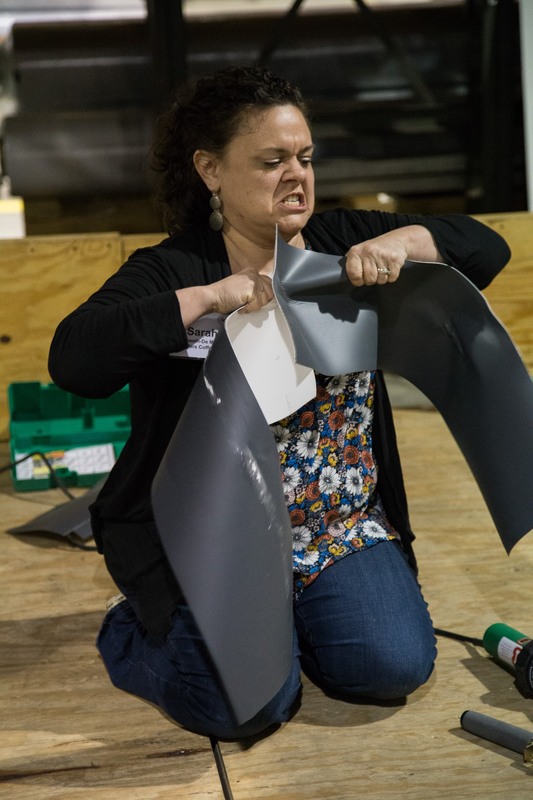 We had a wonderful time learning to heat-weld TPO and adhere EPDM. 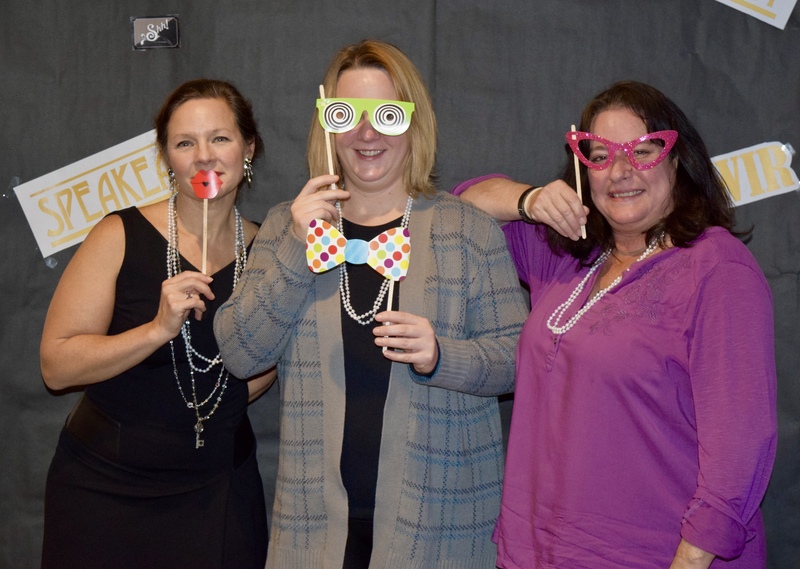 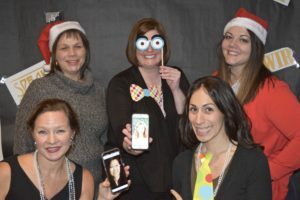 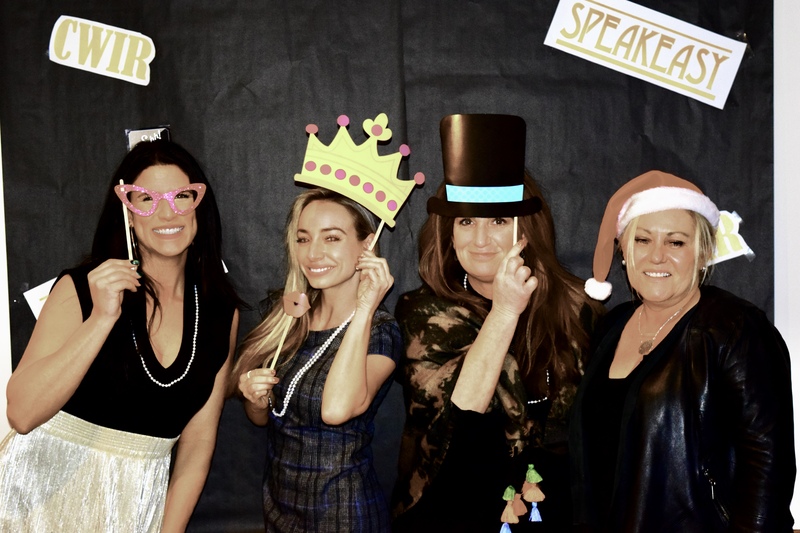 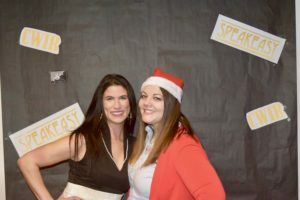 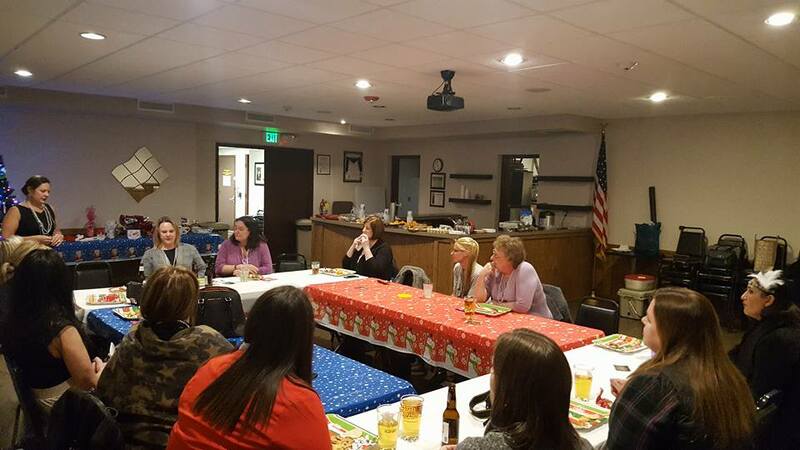 In December 2017, a Speakeasy-themed social event was held in an attempt to give everyone a chance to see each other. 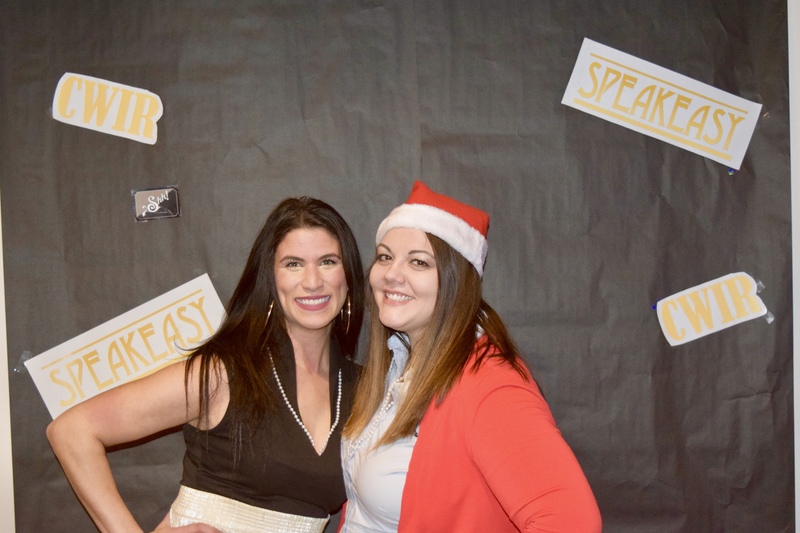 What a year it’s been! 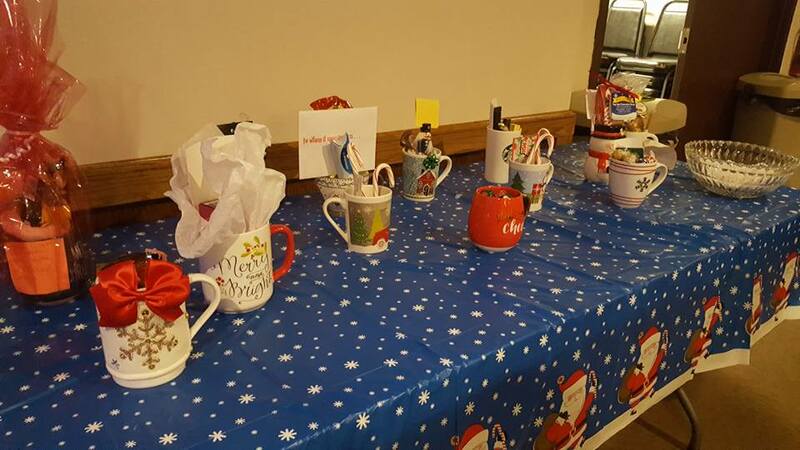 The Secret Santa gifts are on display. 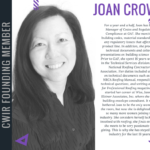 The CWIR Committee — complete with those out of town, Joan and Anna. 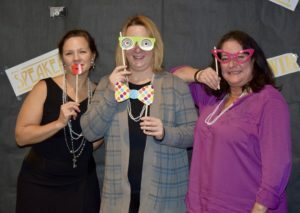 Look at the great use of props! 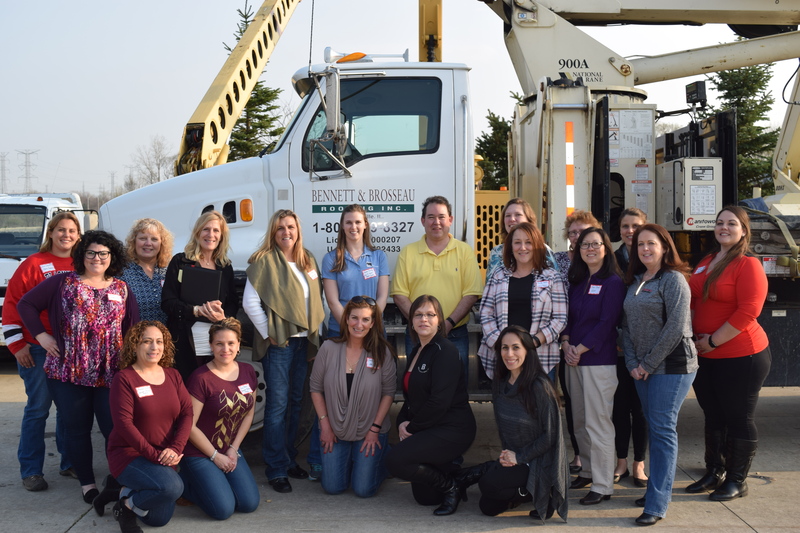 The ladies of Kreiling Roofing! 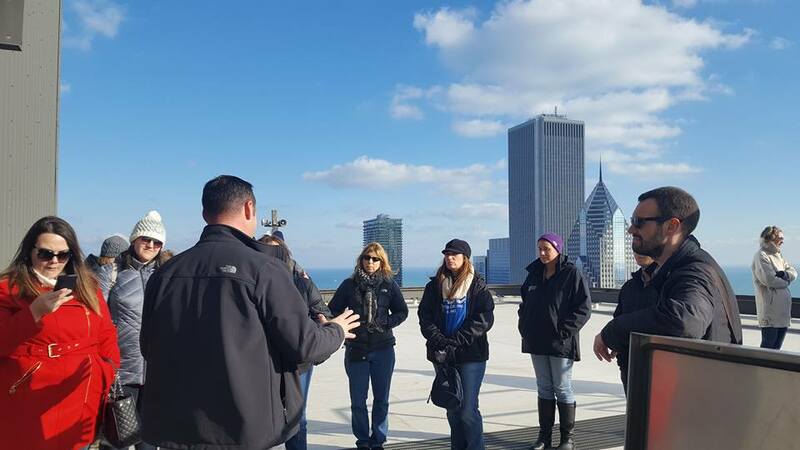 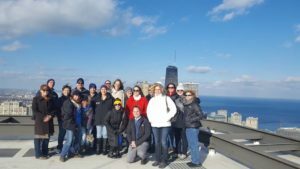 Thank you to Riddiford Roofing for taking us up to 330 North Wabash’s rooftop in November. A great presentation by Jay Tulley (Riddiford Roofing) about the project, the obstacles, and the steps taken to make this project a success. The CWIR group on the NE corner of 330 North Wabash. 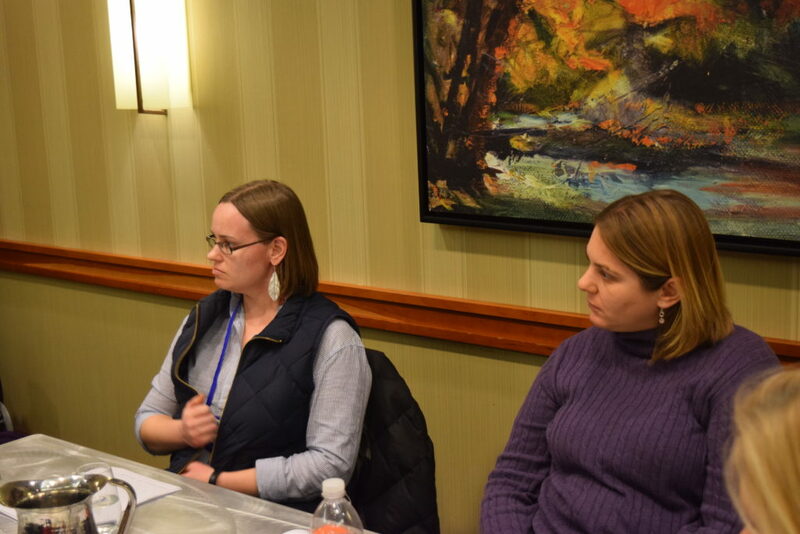 Jay Tulley (Riddiford) answering questions about the project. 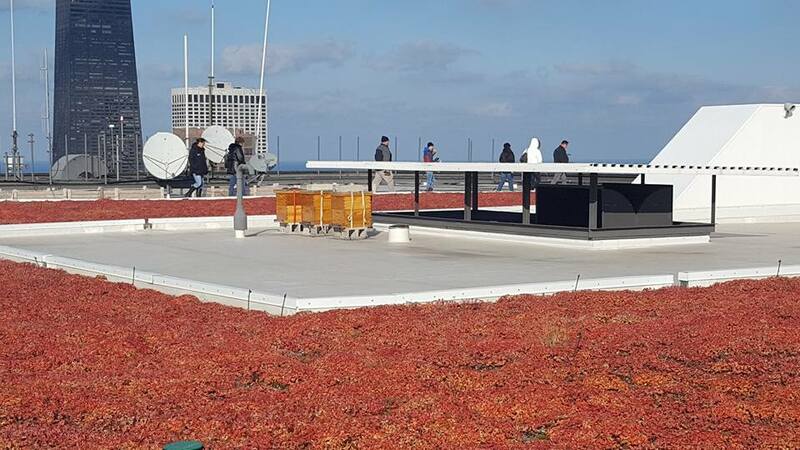 A green roof was viewed – complete with honey bees! 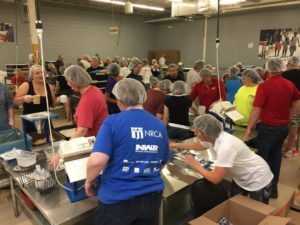 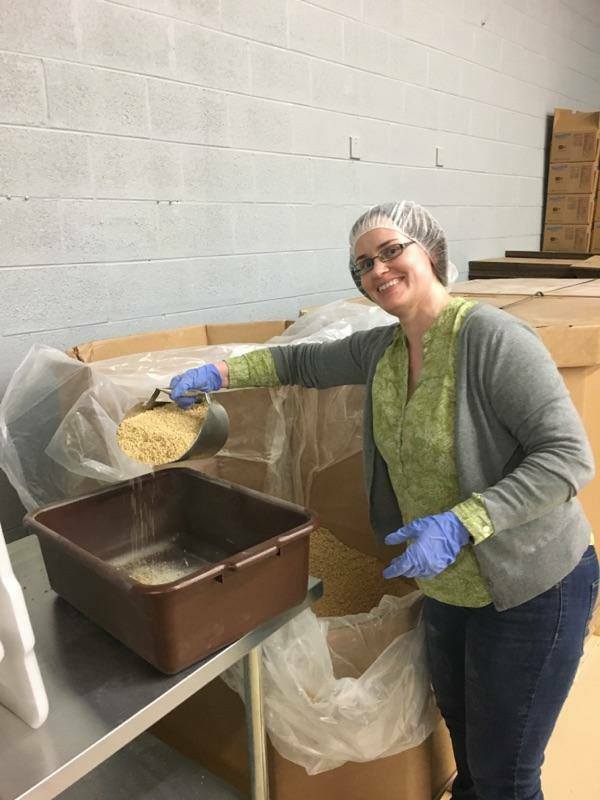 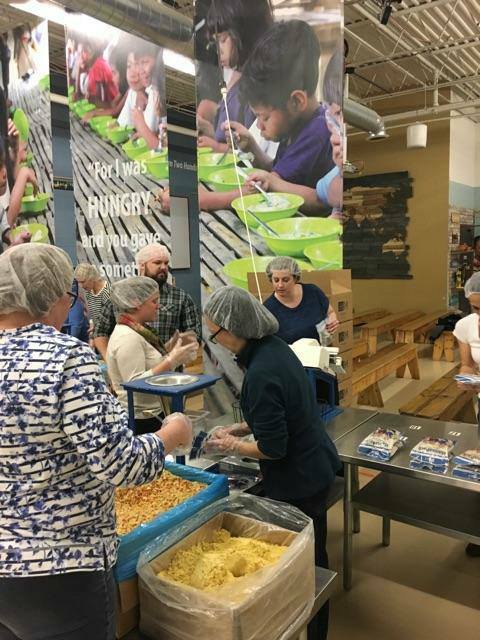 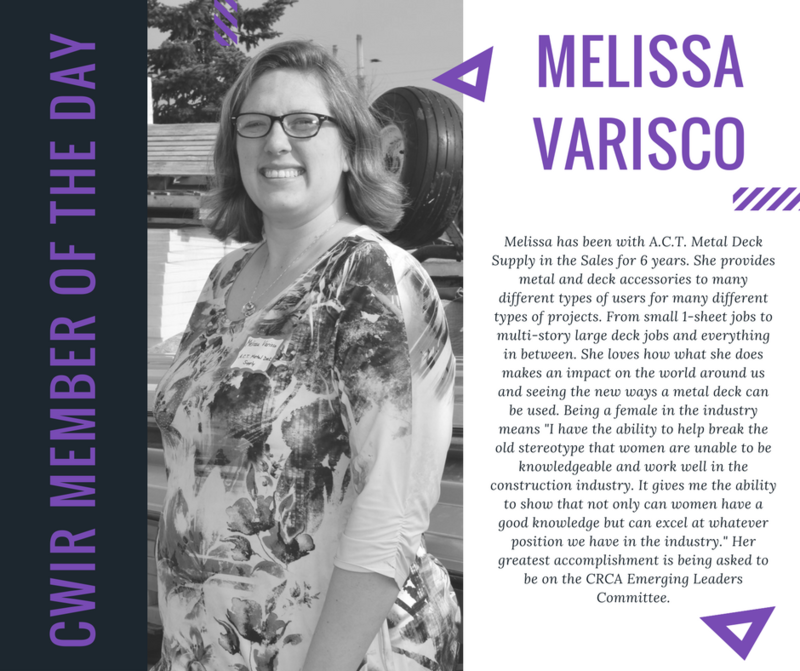 On June 7th, CWIR members and friends participated in the National Roofing Week by donating their time and energy to Feed My Starving Children. On Saturday, May 27th, CWIR assisted WINGS at their Elk Grove Village location by sorting donations. 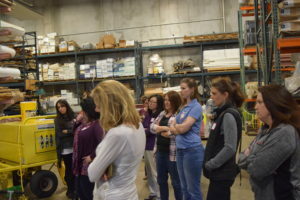 We were able to learn a lot about what is kept and what is unable to be reused. 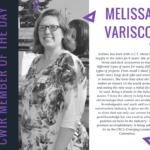 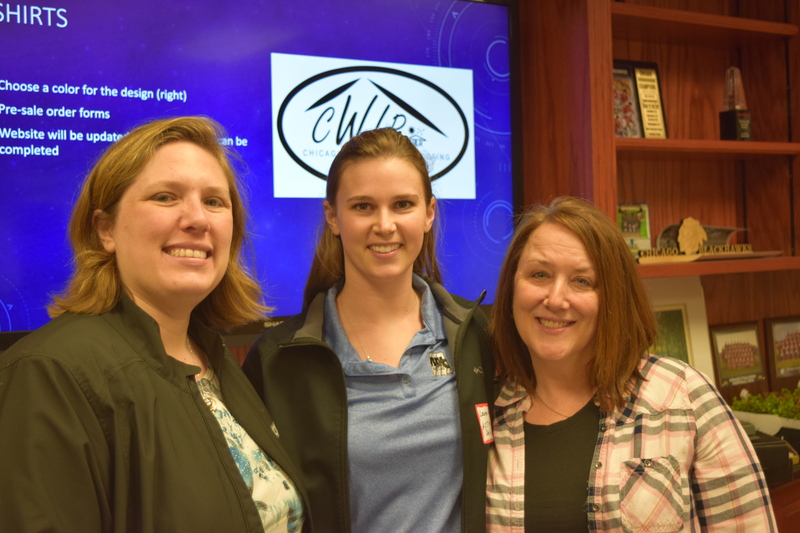 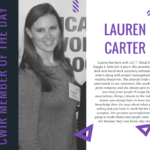 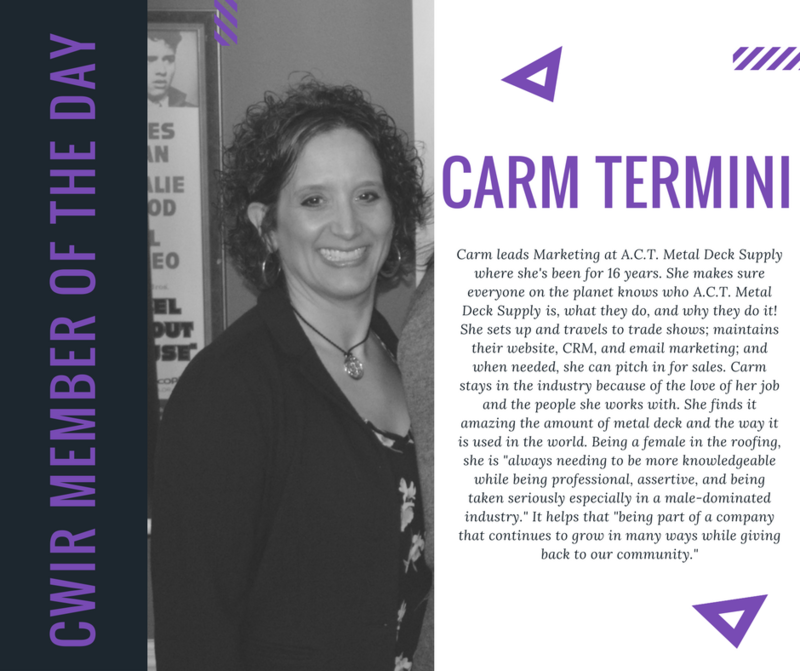 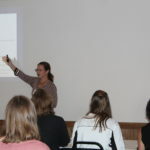 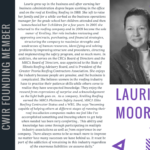 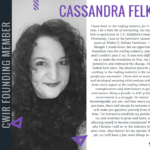 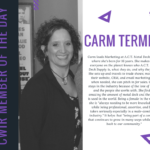 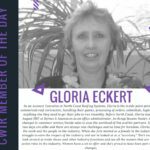 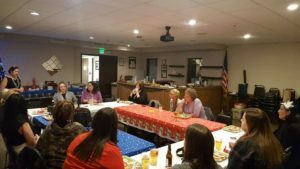 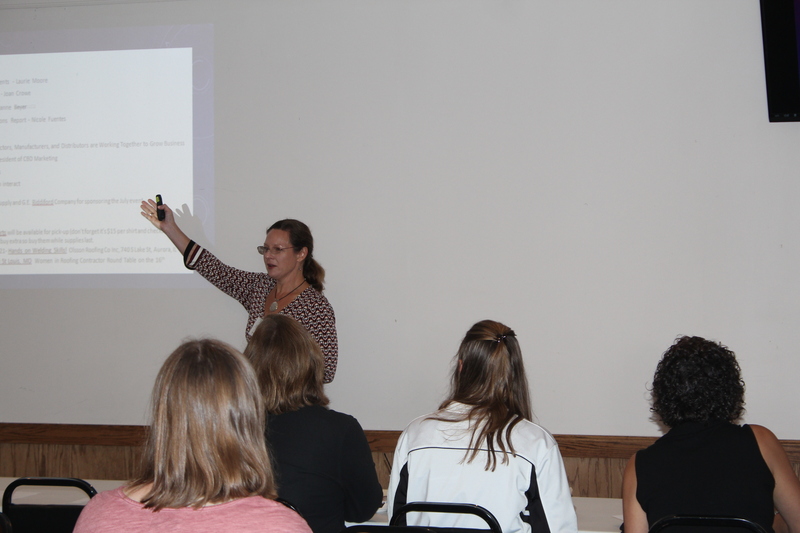 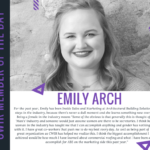 On Thursday, May 4th, CWIR celebrated it’s one-year anniversary! 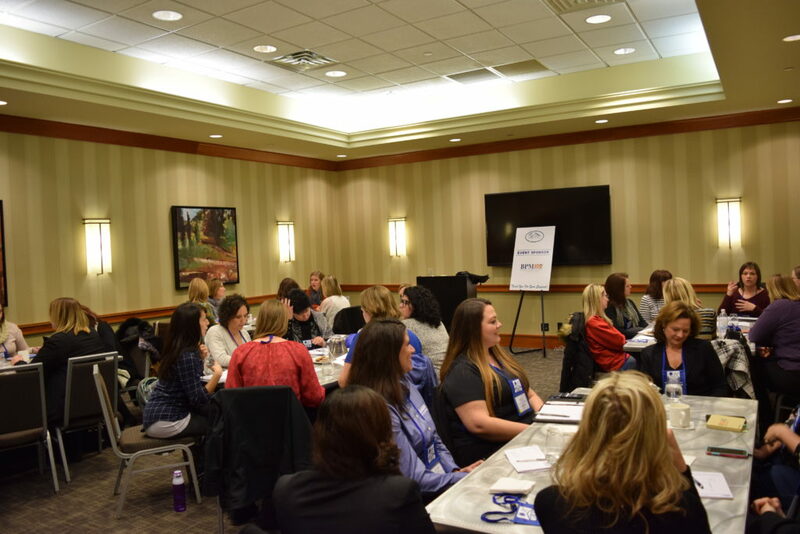 We are so thankful for our members that were in attendance as well as the industry supporters, who came to learn more about the group and see what we’ve been up to this year. We appreciate the donations you made for the WINGS Program and the cards made for Phil’s Friends. The companies that have sponsored us this year are just awesome! 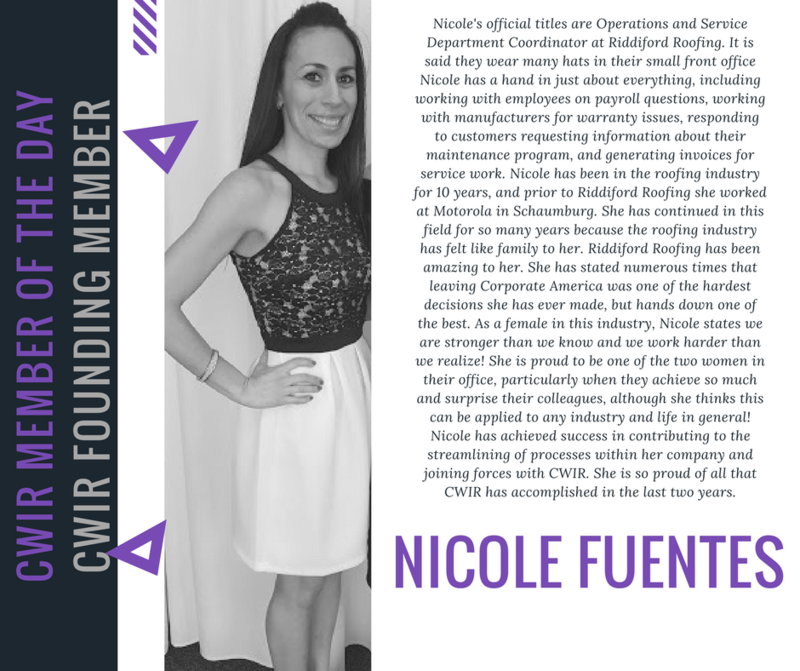 Thank you so much for all of your help, guidance, and support. 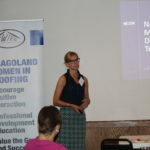 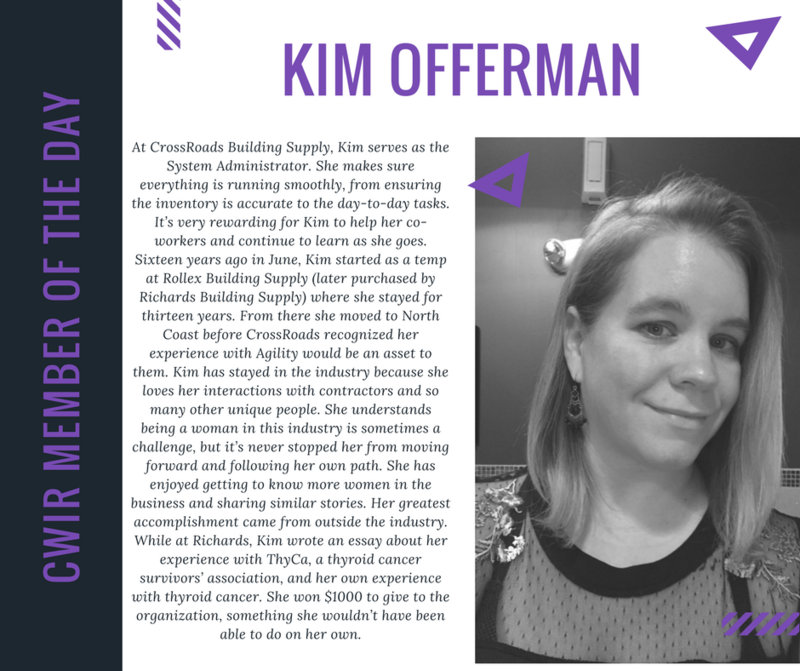 This includes A&D Products, ABC Supply – Cicero, Bennett & Brosseau Roofing, Bone Roofing Supply, Brier Payne Meade Insurance, ChemLink, Contractors Express, Henry Company, Hunter Panels, Karnak Corporation, Kreiling Roofing, North Coast Commercial Roofing Systems, Schwab Group, & Scout Services. 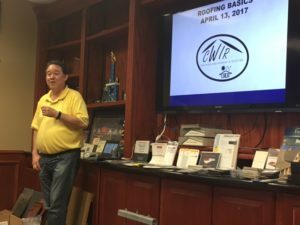 On Thursday, April 13th, CWIR visited Bennett & Brosseau Roofing where George Patterson took us a step deeper in our understanding of Roofing Basics and we were able to tour his facility to see the equipment they use on the job. 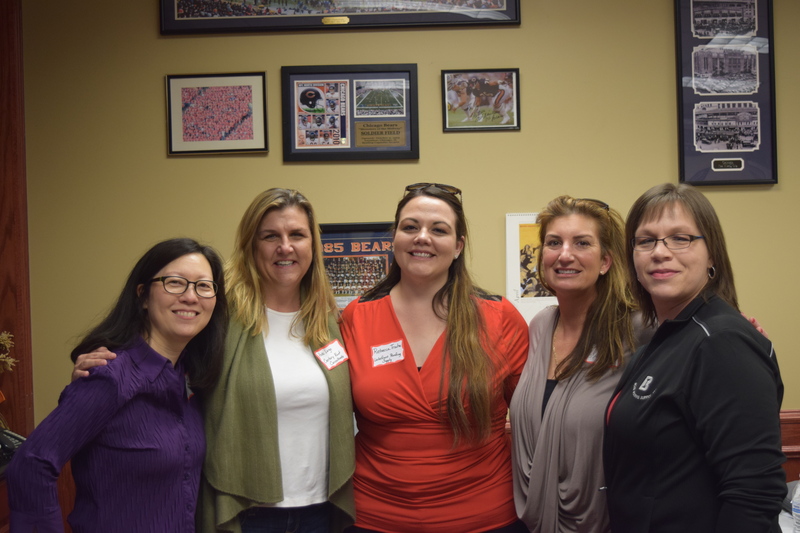 There were several announcements made so please stay tuned for details as we finalize Tshirts and welcome our new committee members! 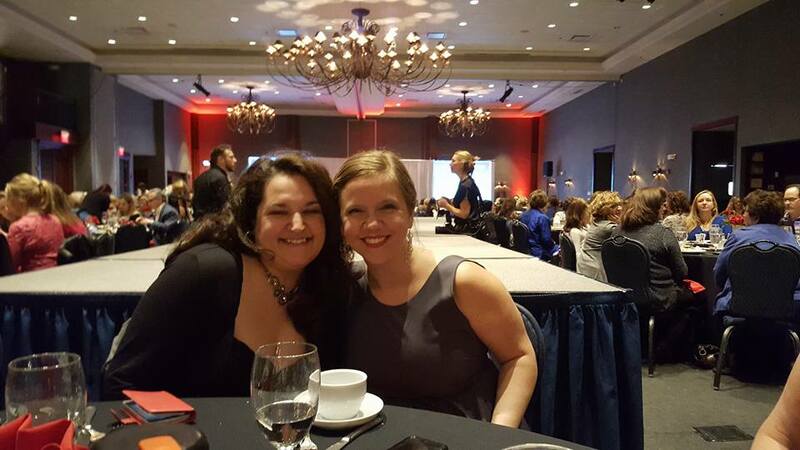 On Sunday, March 5th, CWIR attended the WINGS Resale Fashion Show at Stonegate Conference & Banquet Centre. 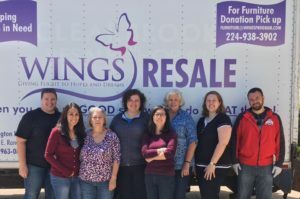 This event showcases women’s, men’s, and children’s clothing available at the WINGS Resale Shop and included entertainment. 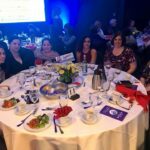 This annual event kicks off the No More Week, which raises awareness and funds to end domestic violence and sexual assault. 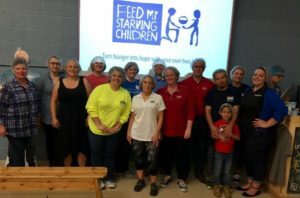 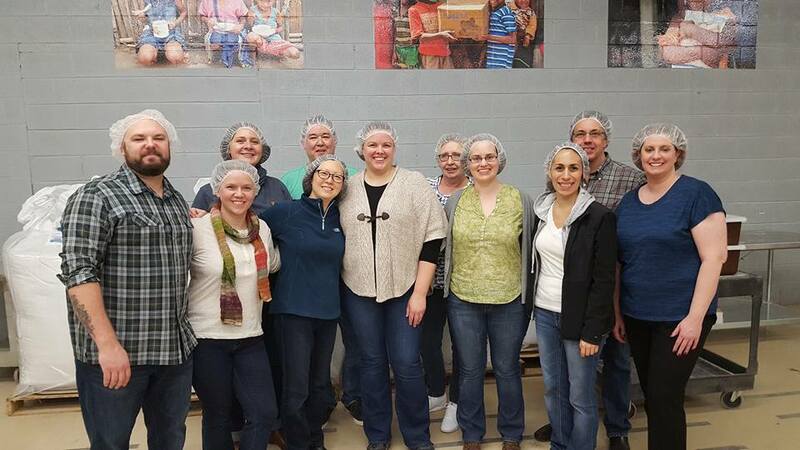 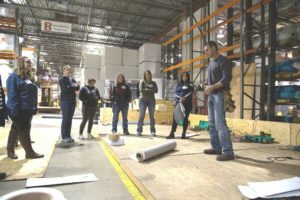 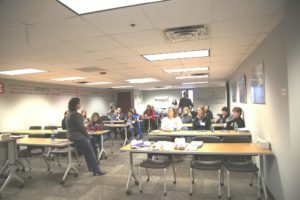 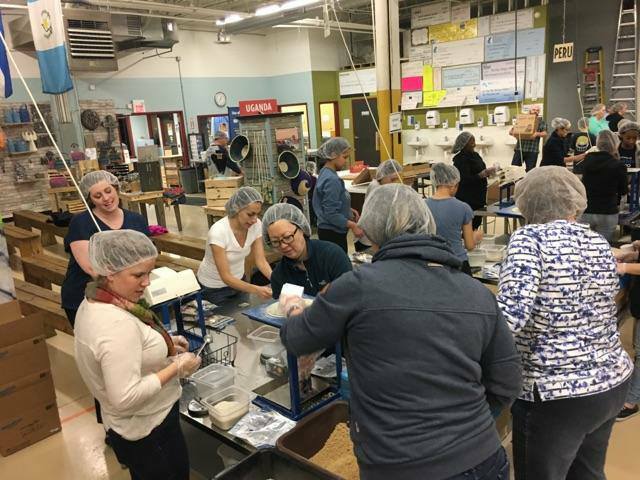 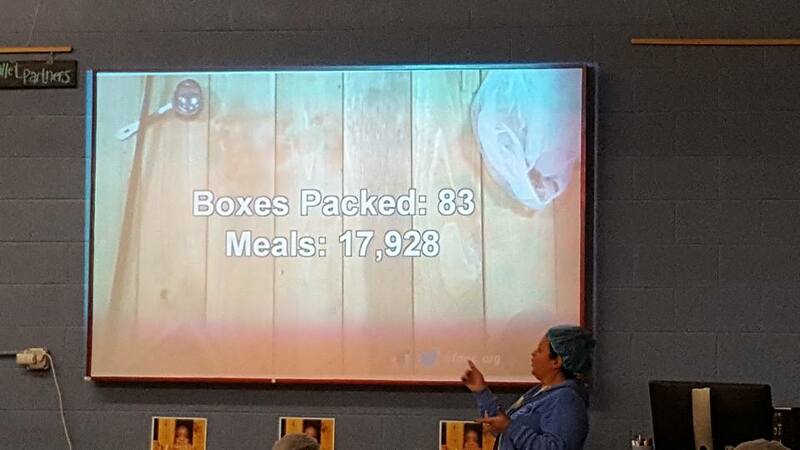 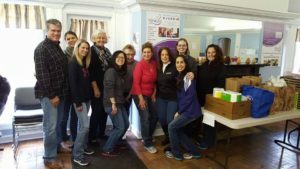 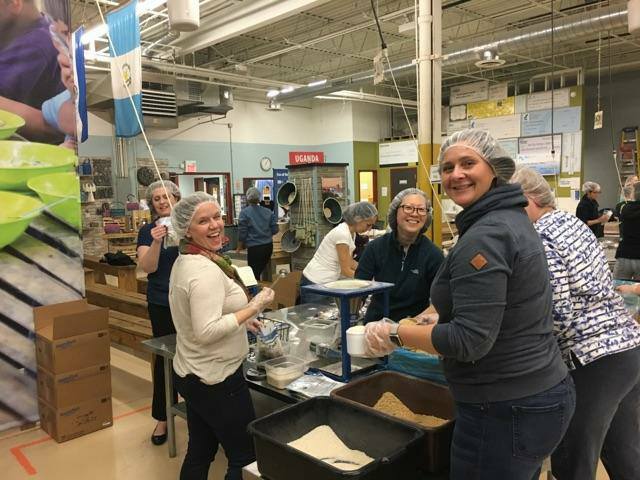 On Friday, February 17th, CWIR and other volunteers packed enough food to feed 49 African children for a year at Feed My Starving Children – Schaumburg. 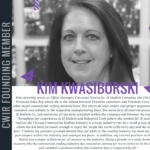 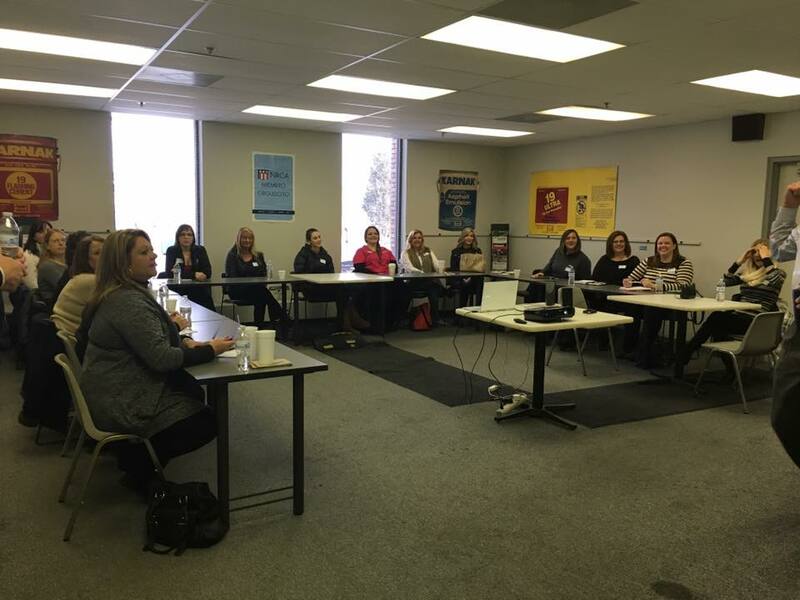 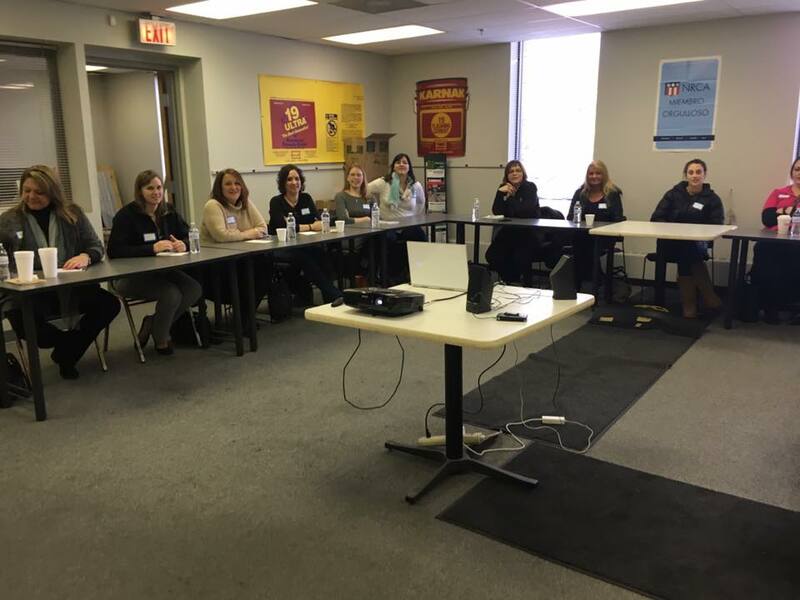 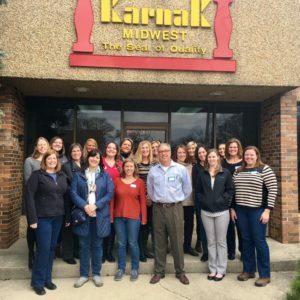 On Thursday, February 16th, CWIR met at the Karnak Midwest Factory. 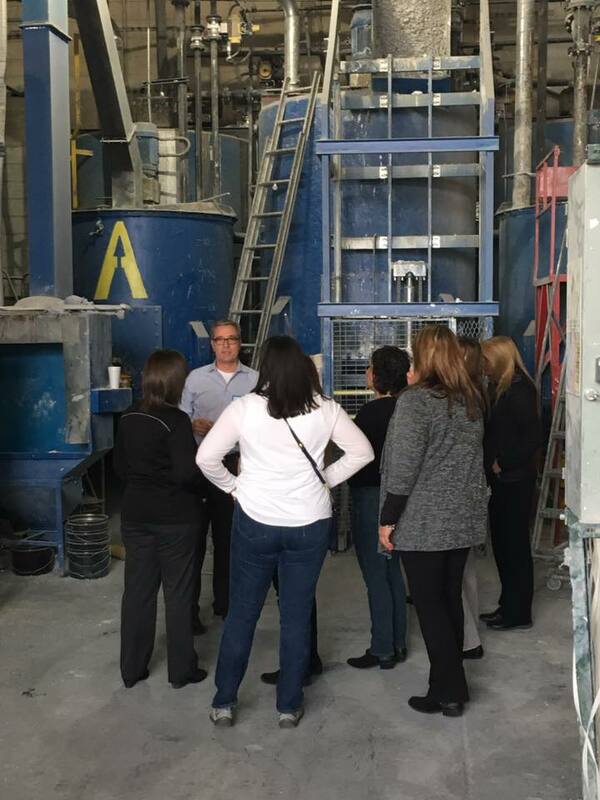 Not only did we learn about Karnak’s coatings but we were able to watch how they were made. 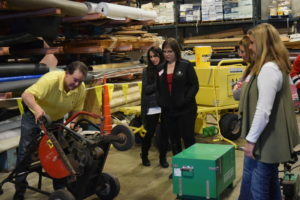 Thank you to Karnak and A&D Products for a great learning opportunity! 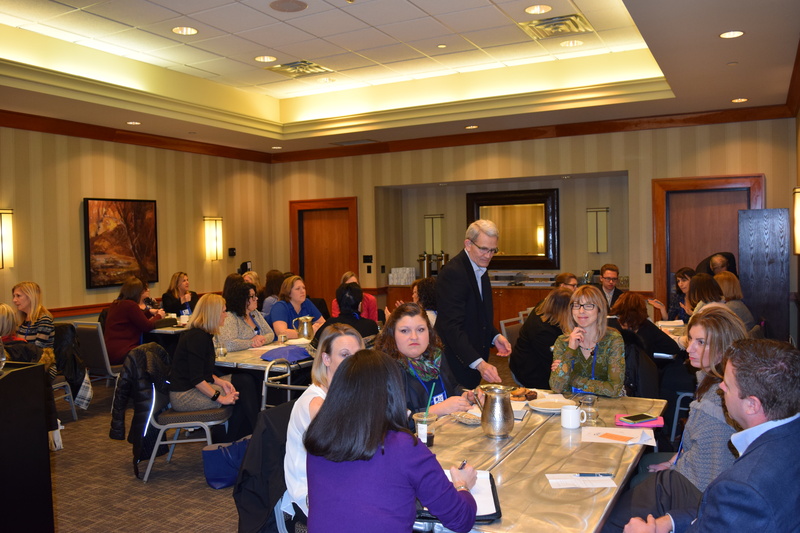 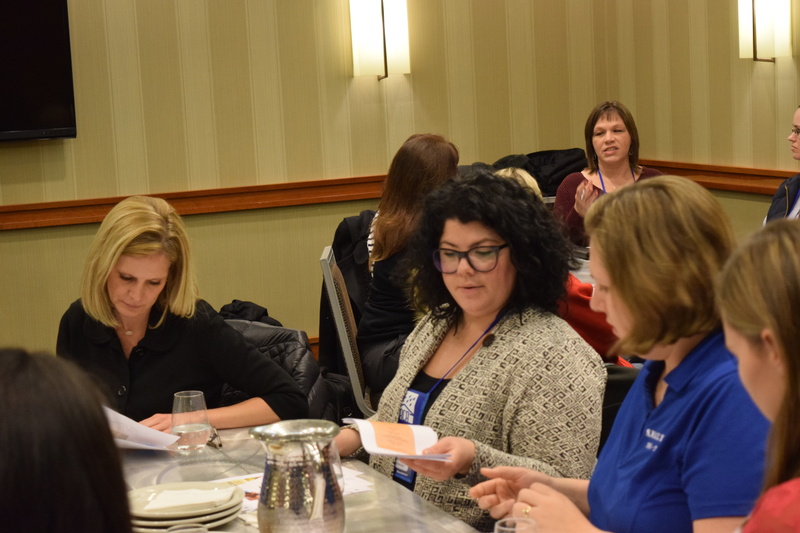 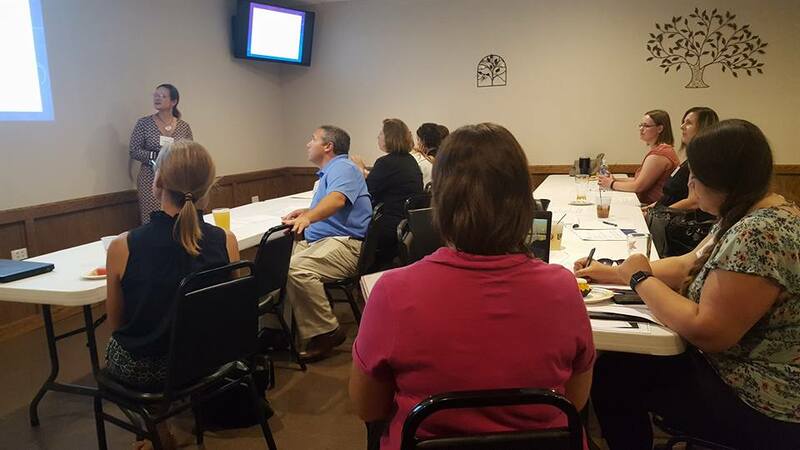 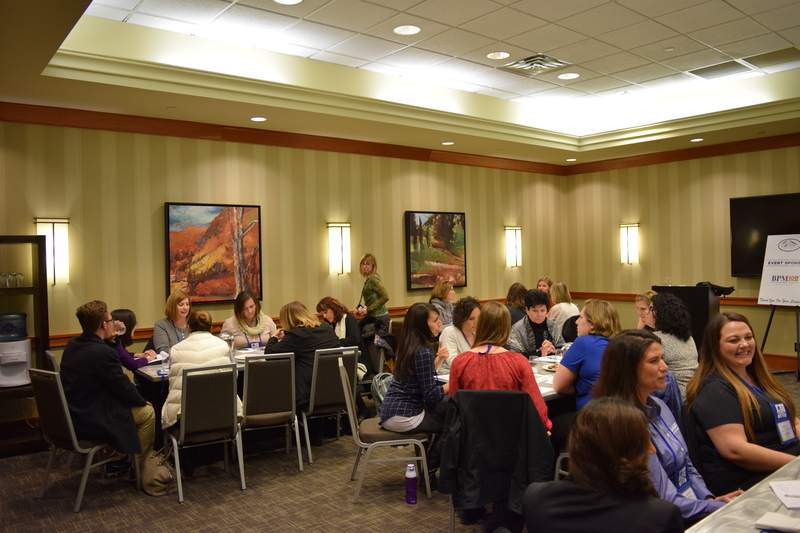 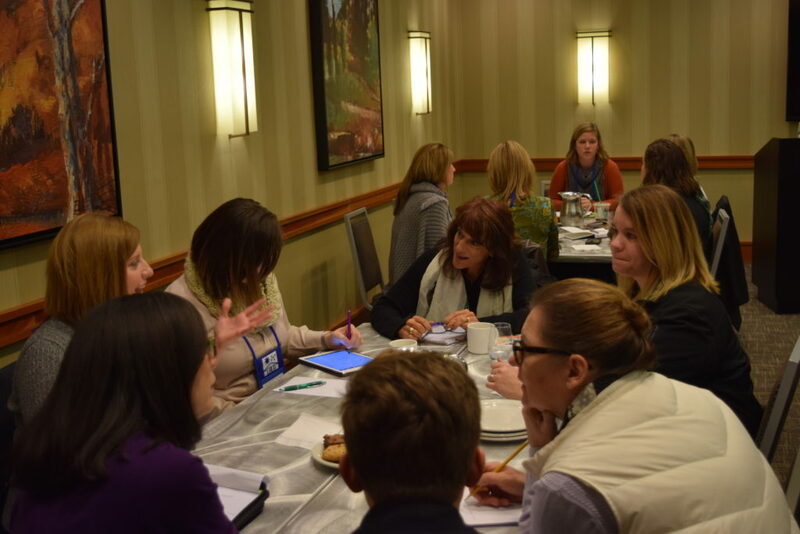 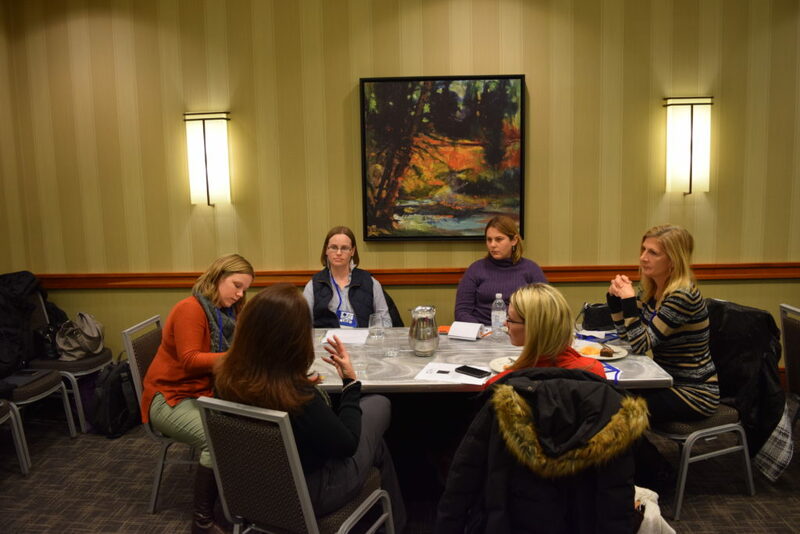 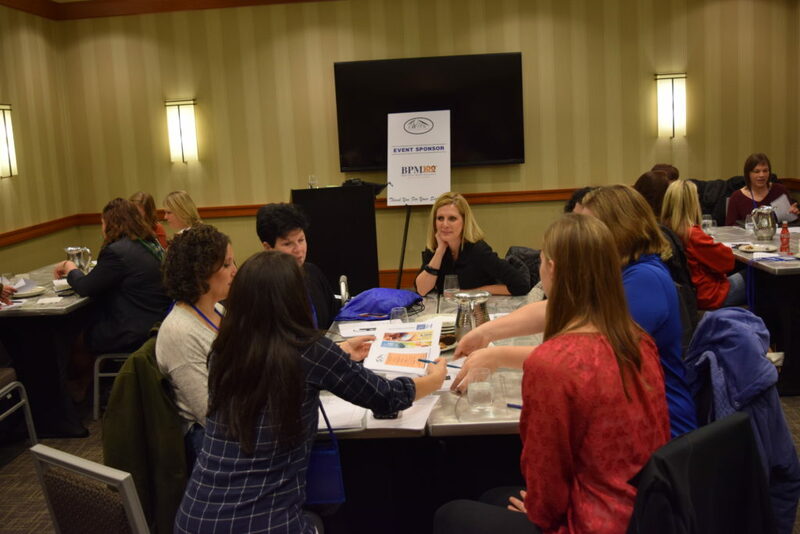 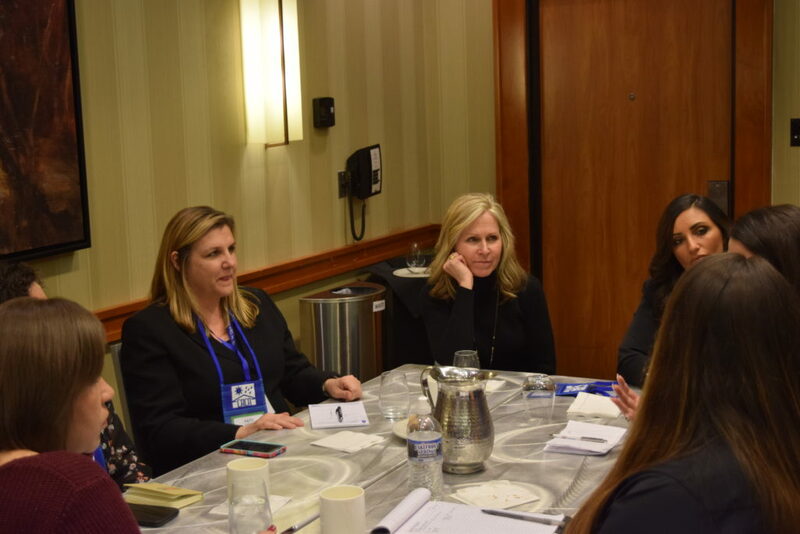 On Wednesday, January 18th, CWIR Board led round table discussions on topics important to the members of our organization. 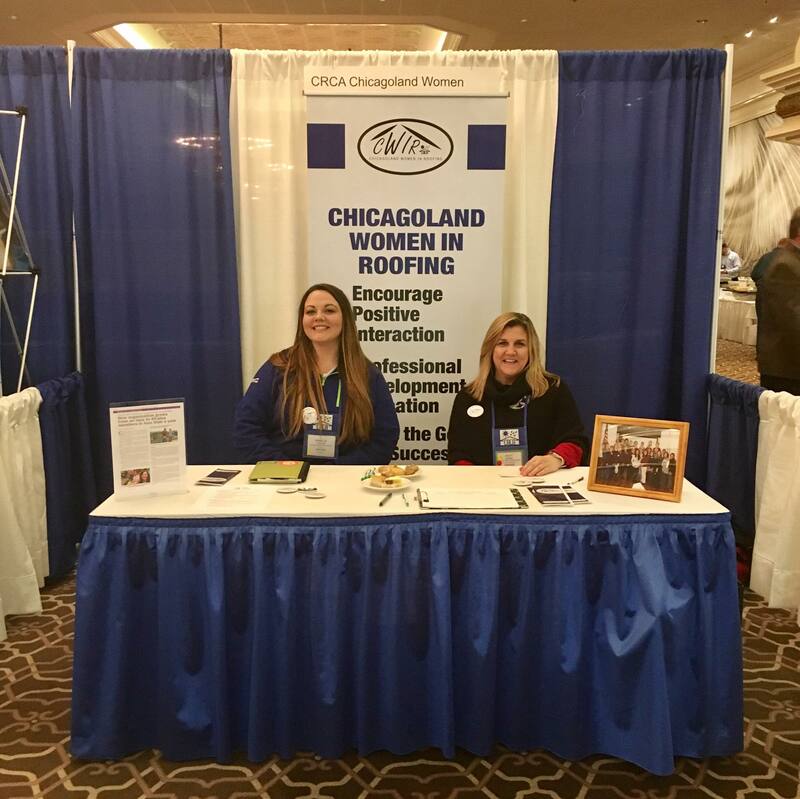 In the following days, our booth at the Chicago Roofing Contractors Association captured the attention of many people in the industry. Thank you, in particular, to our sponsor, Brier Payne Meade Insurance. 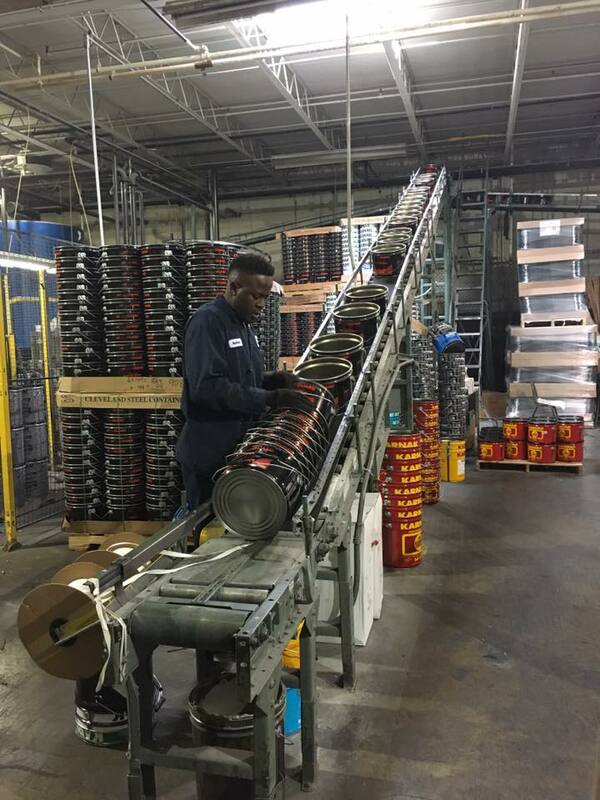 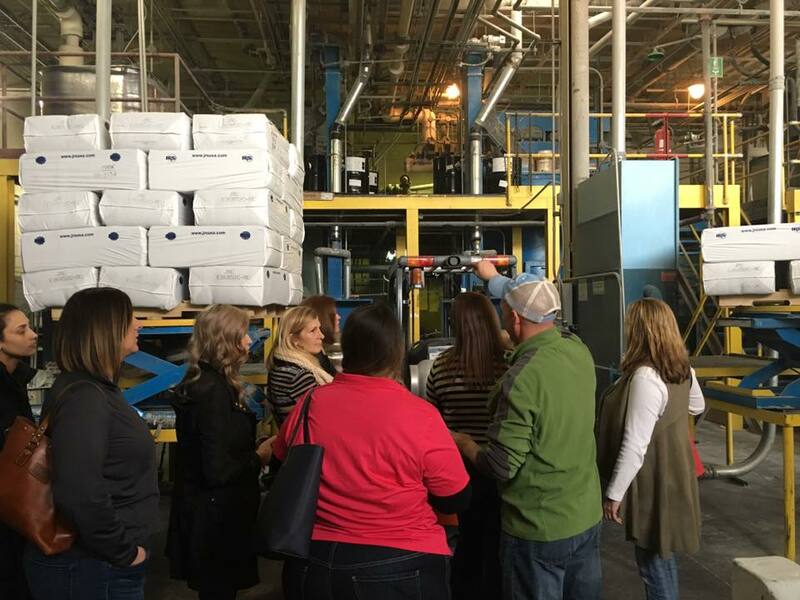 On Tuesday, January 10th, CWIR members toured the Hunter Panels Factory in Franklin Park. 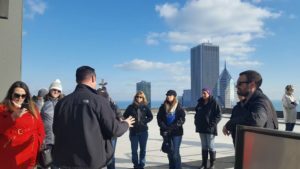 We appreciate Brad & Brandon Schwab of Schwab Group and Dan Flickinger and the staff of Hunter Panels for providing a great educational experience! 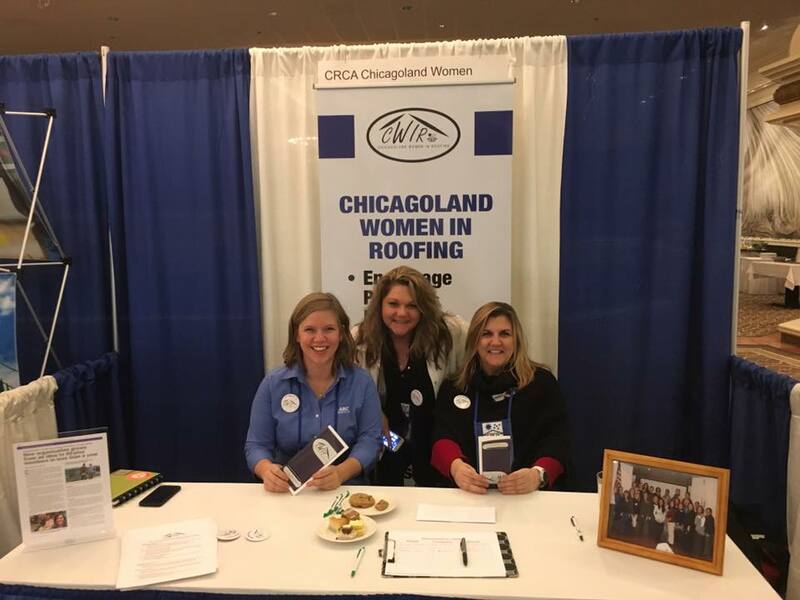 On Friday, December 16th, CWIR members voted to become a committee of Chicago Roofing Contractors Association. 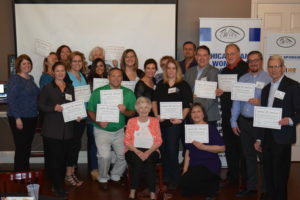 Our Board members will now become the committee members. 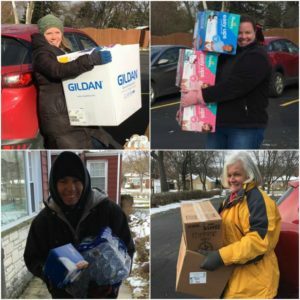 On Thursday, December 8th, CWIR members brought items from our donation drive to the WINGS facility in Mount Prospect. 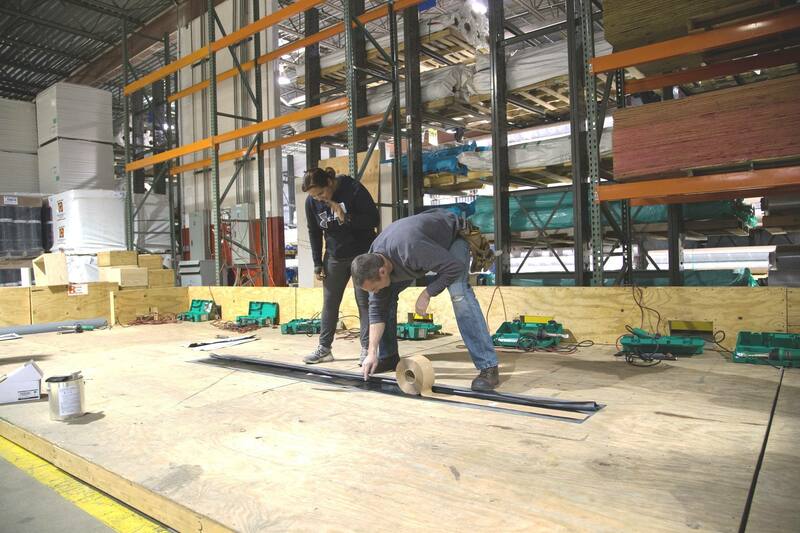 (Thanks to Jorge of Riddiford for helping!) 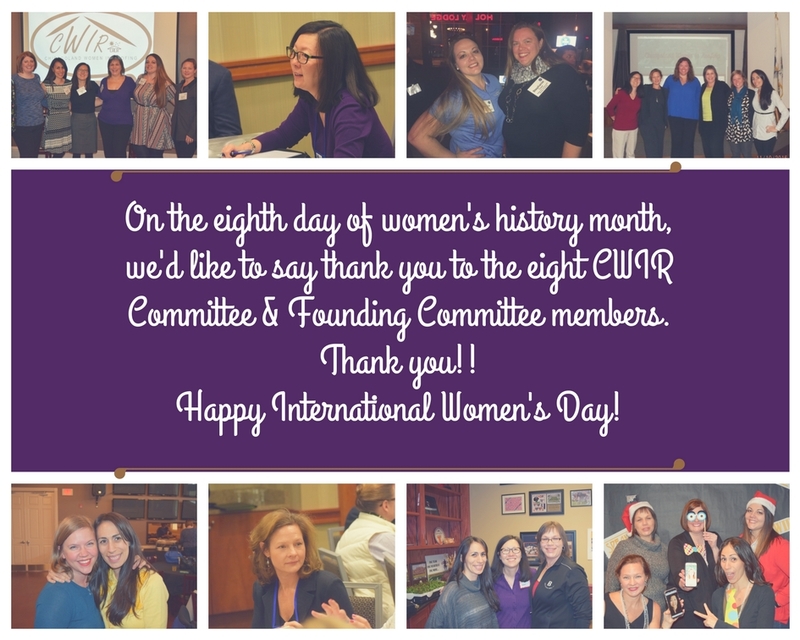 Thank you to all of our members and friends for participating in this important cause! 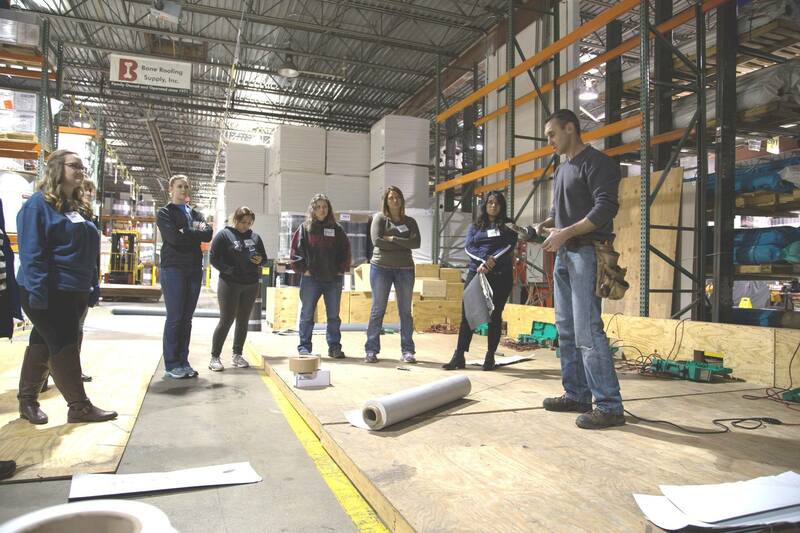 On Saturday, November 19th, CWIR members helped sort at the WINGS facility in Mount Prospect. 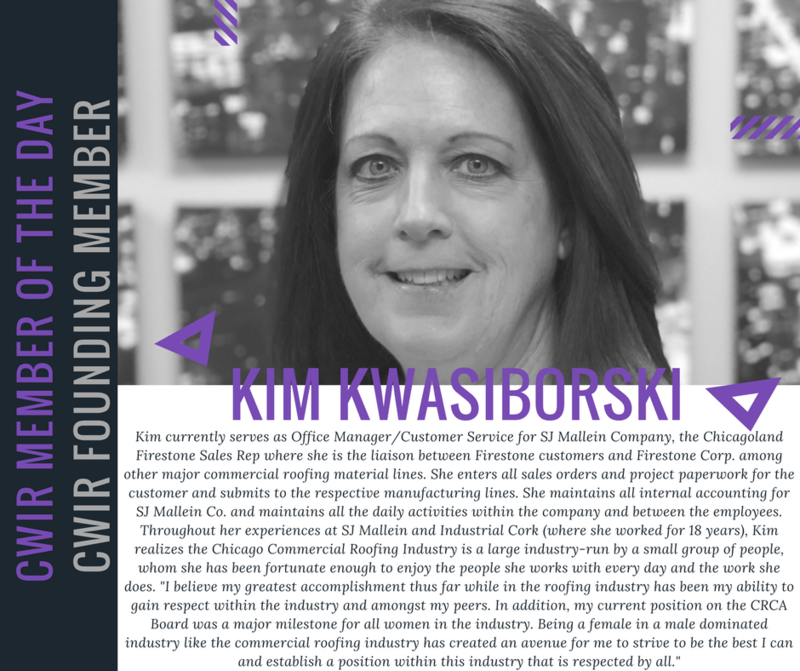 On page 18 of the Chicago Construction News, CWIR was interviewed. 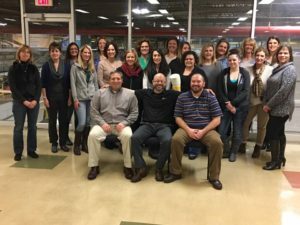 Read the article to learn more about the ideas and interests of this group.